The galvanised wire hoops are built into the cover, and the tunnels fold away concertina-style for easy storage. Drawstring feature enables open or closed ends for ventilation or maximum protection. Length 3m (10'), width 45cm (18"), height 30cm (12"). 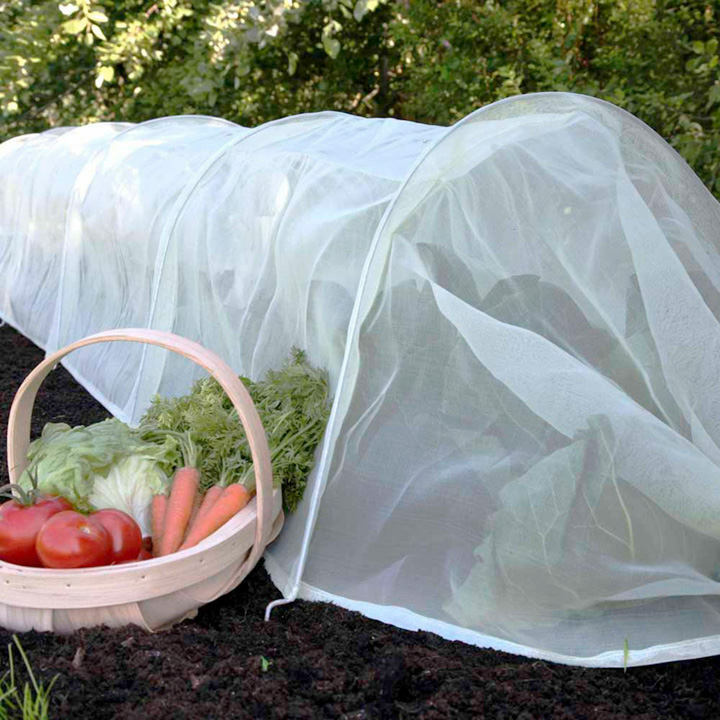 Micromesh Tunnel - Ultra-fine 0.6mm mesh, which is small enough to keep out cabbage rootfly, carrot fly, white fly, onion fly, flea beetle, vine weevil, aphids and others, while allowing air and water through. 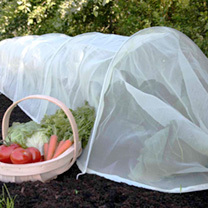 Buy any 2 of the Easy Tunnels - Polythene, Fleece, Net, Micromesh - and get a third FREE!